Al Jazeera English is a sister channel of the popular Arabic-language news network Al Jazeera. Al Jazeera English launched in 2006 and was aimed at broadening the portfolio and audience. So far it’s been met with fairly good reviews from critics and viewers, picking up various awards since its inception a few years back. 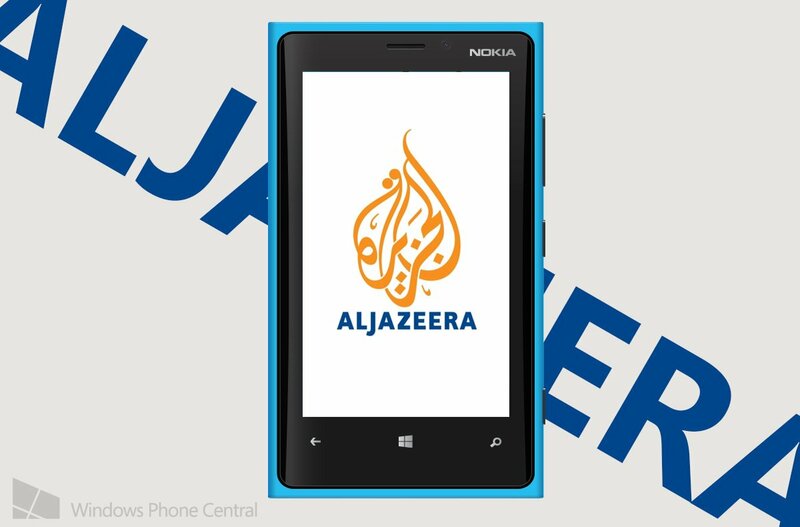 Here’s an award from Al Jazeera English to its viewers and readers on Windows Phone, an official app. While we’ll always welcome official apps to the fold, this one is a little rough around the edges. Some video content requires you to have the ‘official’ YouTube app from Microsoft. A little odd, but they do offer live streaming of the news network which sort of makes up for it. Another niggle is the lack of ‘fast resume’ with the app and the lack of double wide tiles or lockscreen support. It makes me think this app was developed with Windows Phone 7.5 in mind and not Windows Phone 8. 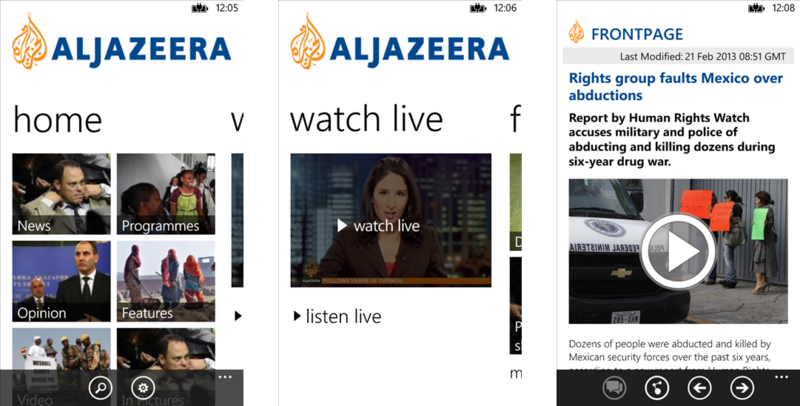 Those issues aside, fans of Al Jazeera English will probably like having the content available on their device. Any readers of Al Jazeera English want to chime in with their opinions below? Go right ahead. You can download Al Jazeera for your Windows Phone 7.x and 8 device here from the Windows Phone Store, use the QR code below, or swipe to the right in our app. Thanks for the tip Matt S! P.S. Play nice in the comments.